Ships from and sold by XinYiRiAustralia. 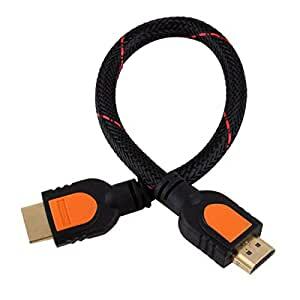 1.A very convenient, handy short HDMI cable. 2.Standard HDMI male to HDMI male. 3.Gold plated connectors for resistance to corrosion and to maintain signal integrity. 4.1080P Version 1.4 high-speed compliant. 5.Connections are gold plated for improved quality. These are strong braided cables made to last.